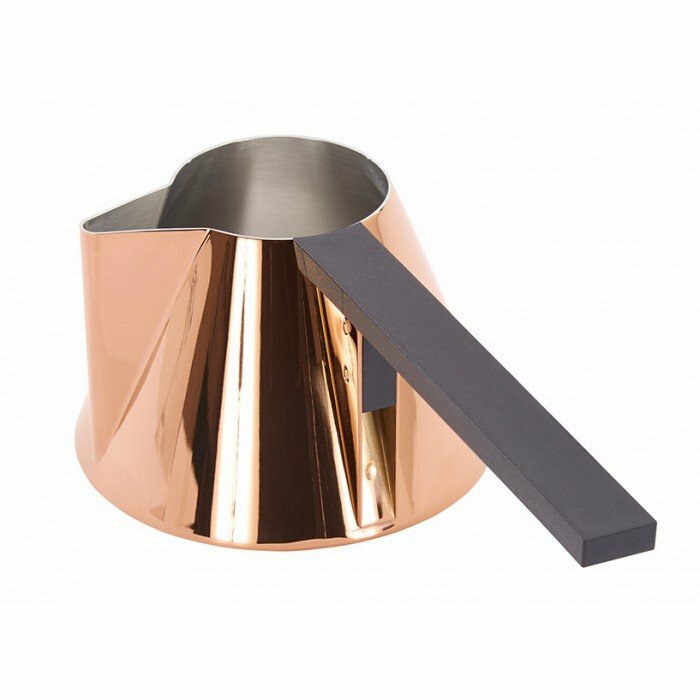 A stainless steel milk pan coated with a high-gloss copper finish and fitted with a straight handle engineered for even heating and perfect balance. Combine it with its twin, the Brew Stovetop, to create a knockout caf? au lait.